Get ready for a traffic jam. 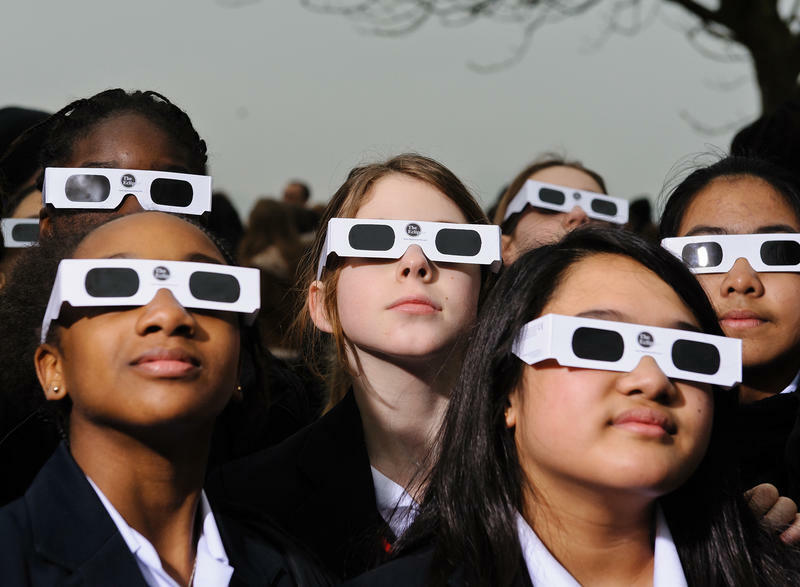 Across the United States, millions of people plan to travel the highways and byways to view the total solar eclipse on Aug. 21. The moon will block the sun along a narrow band through 14 states — including Kansas and Missouri. The eclipse begins around 11:40 a.m., with totality just after 1 p.m.
As many as 1.2 million eclipse-watchers could travel to Missouri between Aug. 18 - 22. Parts of the metro are in the path of totality; on the edges, totality will last for seconds. 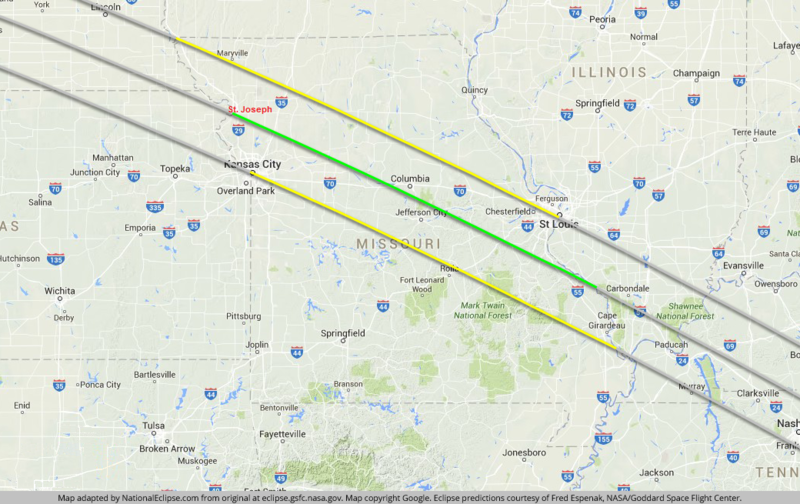 St. Joseph, Missouri, one of the cities in the center of the path, will be a popular site to view the eclipse for a long stretch — 2 minutes and 39 seconds. Cell phone companies in the area have boosted coverage and capacity; some are adding temporary mobile sites. So what will the roads look like? As you travel towards the center of the path of the eclipse, there's longer viewing in Missouri: Kansas City, 29 seconds, Independence, 1:10, Excelsior Springs, 2:30, and St. Joseph, 2:38. "I think at this point we're not really sure what to expect," says Melissa Black, Missouri Department of Transportation (MoDOT)'s communications manager in Kansas City. She adds, "Our concern is always safety. We are concerned that people will, for instance, try to pull over and look at the event from the highway — which we are highly discouraging. "We want people to be in safe spots, we want them not to be in areas where they could potentially put themselves at risk, or someone else." To help monitor the roadways, she says, some MoDOT staff will be redirected from regular duties, such as filling potholes and mowing. Construction in work zones will also be put on hold, if at all possible, from Friday through Tuesday to help traffic flow. Keep an eye out for pedestrians, emergency vehicles, as well as other motorists. Don't take photos while driving, says Black. The duration of totality varies in Kansas. 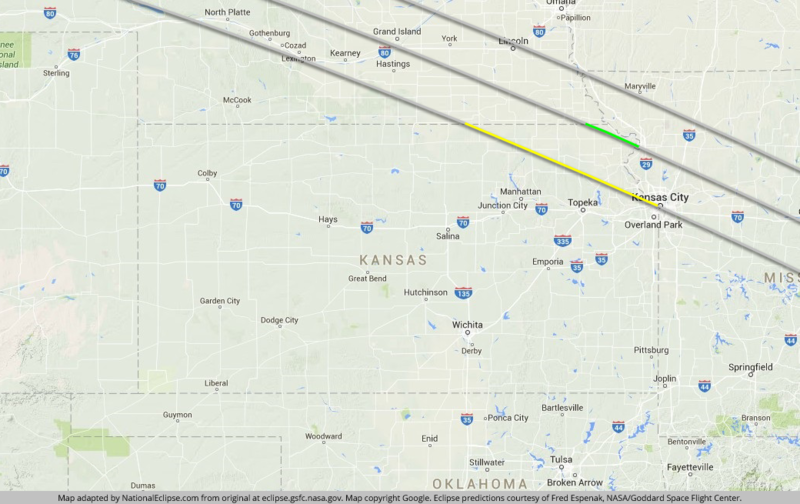 Kansas City will see 24 seconds of totality, Leavenworth, 1:32, and Atchison, 2:19. Black suggests motorists consult traffic conditions before leaving, so they can know what to expect and adjust their route, if needed. MoDOT offers a traveler information map to advise motorists of delays. The Kansas Department of Transportation also provides this service. And Kansas City Scout delivers traffic updates for the metro area. Heavy congestion is expected on the roadways. "Come early, stay late," advises Black. 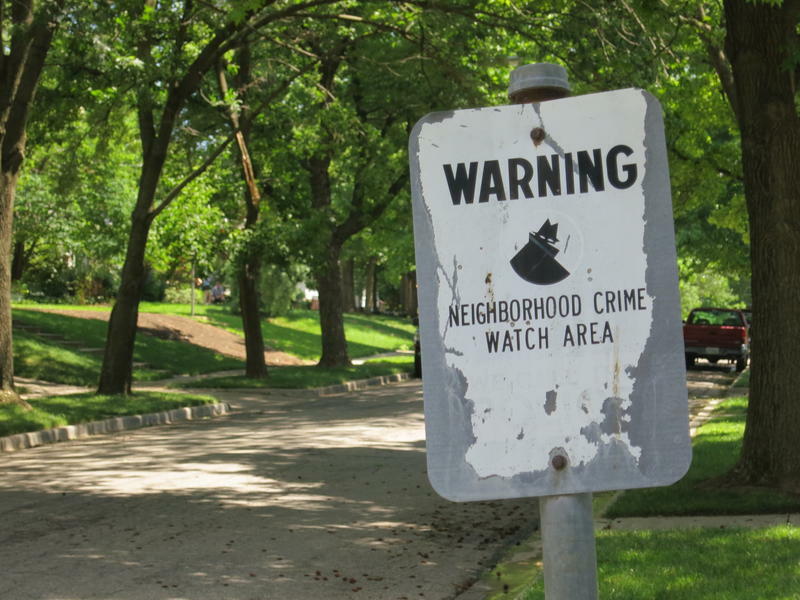 In St. Joseph, parking areas at some watch locations, such as Rosencrans Memorial Airport (available for purchase through August 11) and Remington Nature Center (first-come, first-serve), open at 7 a.m. Others, like East Hills Shopping Area, plan to open at 6 a.m. Libraries, wineries, astronomical societies and others have scheduled watch parties in and around the metro area. But wherever you decide to go, "get to the destination and stay there," she says. "Don't try to move around, [or] be in traffic during that time." Motorists could be tempted to park on the shoulder of the highway to view the eclipse. Don't do it, says Black. "First off, it's illegal [for non-emergency reasons] and it causes a safety hazard," she explains. "We really want people to not be on the side of the highways. They need to find a safe location to stop and view." Plan like you're getting ready for a road trip. Make sure your car has a full tank of gas. "Bring water and snacks with you," she suggests, "just to make sure you're prepared and ready in case of an emergency." And don't forget those safety glasses. 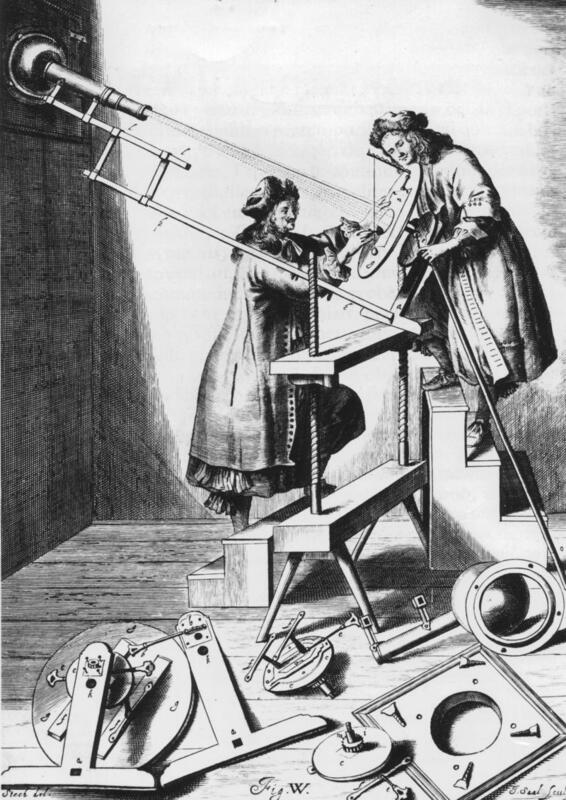 To see this month's total solar eclipse, the first one to be visible from the contiguous United States in nearly 40 years, all Donald Liebenberg will have to do is open his front door and step outside. 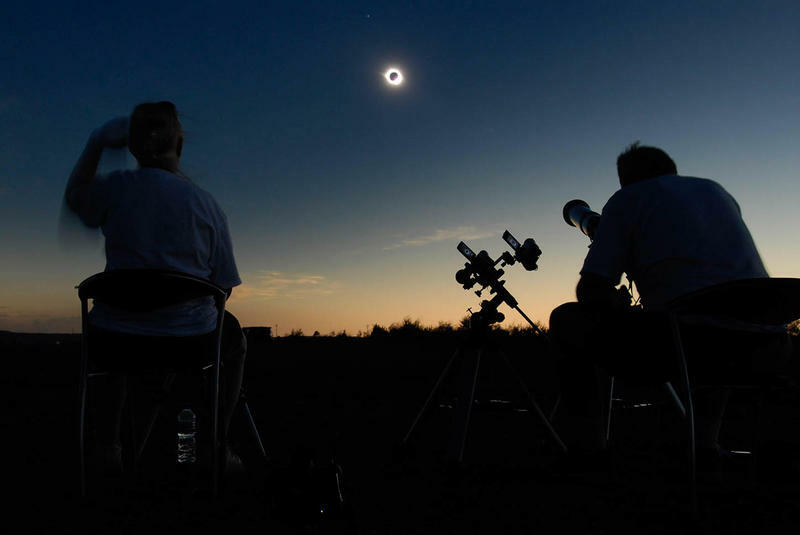 "It's a really special treat to be able to have one in my driveway," says Liebenberg, who has trekked to Turkey, Zambia, China and Pukapuka, a remote island in the Pacific, to see past eclipses. 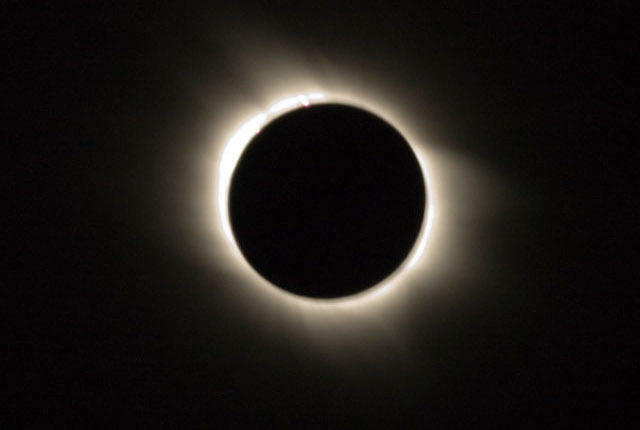 You might think that, after thousands of years of observing total solar eclipses, science-minded folks would have exhausted what can be learned from this awesome natural spectacle. KCUR's Laura Spencer reports on an artistic collaboration creating new murals in Kansas City's Crossroads Arts District in celebration of the total solar eclipse on Aug. 21. 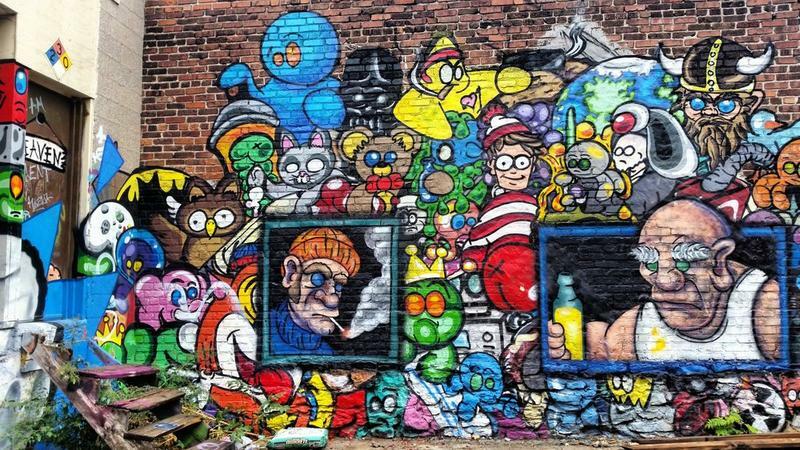 Jason Harrington, aka muralist Rif Raf Giraffe, thinks that in the near future, Kansas City will be home to perhaps the densest mural park in the nation. Try to find a hotel room in St. Joseph, Missouri a year from now, and you might be disappointed. 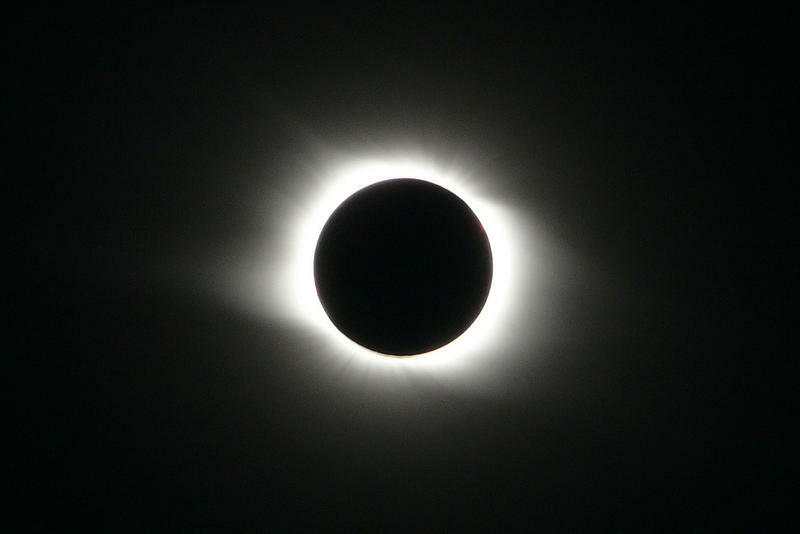 On August 21, 2017, tens of thousands of visitors will have descended on the city to watch a remarkably rare event: a total solar eclipse. St. Joseph falls in the small band in which the entirety of the sun will be blocked by the moon, causing the sky to go dark.